At Stable Foundations, we know the importance of the safety of your family and the structural stability of your home. If the structure of your basement walls is compromised, trust in our team to provide basement wall repair to restore your home and keep your family protected. Why do Basement Walls Bow and Buckle? Bowing or buckling walls is a very common sign of foundation damage. As the soils in the ground around your foundation begin to shift, they can put massive amounts of pressure on your foundation. This pressure can result in the inward bowing or cracking of your basement walls and compromise the structural integrity of your home. Hydrostatic pressure is one of the main causes of bowing or buckling walls. As water saturates the ground around your foundation, it puts pressure against your basement walls and causes them to bow inward or buckle. Expansive clay soil is commonly known for its constant shrinkage and expansion as the water volume changes. The clay in the soils can form deep cracks and cause further displacement of the soils, putting more pressure on your basement walls. Many homes in Virginia are built on clay soils, which creates a large need for basement wall repair across the state. Changing weather conditions can cause soils to contract, which shifts their support and can put pressure on your basement walls and leave you seeking help for basement wall repair. As the weather climate can change often in Virginia, contracting soils can create problems for a lot of homeowners. While some symptoms of bowing walls may be easy to detect, other symptoms may not be as easy to detect. Depending on the pressure that is being exerted on your walls, the damage may be extensive or minor by the time you notice. No matter what signs of damage your walls are showing, it’s best to get your home inspected for basement wall repair sooner rather than later to avoid bigger, more expensive issues down the road. As a homeowner, it’s important to keep a lookout for these kinds of symptoms to avoid bigger issues. If you notice any major or subtle signs or bowing walls, our team is happy to provide a free inspection to see what type of basement wall repair is best for your home. 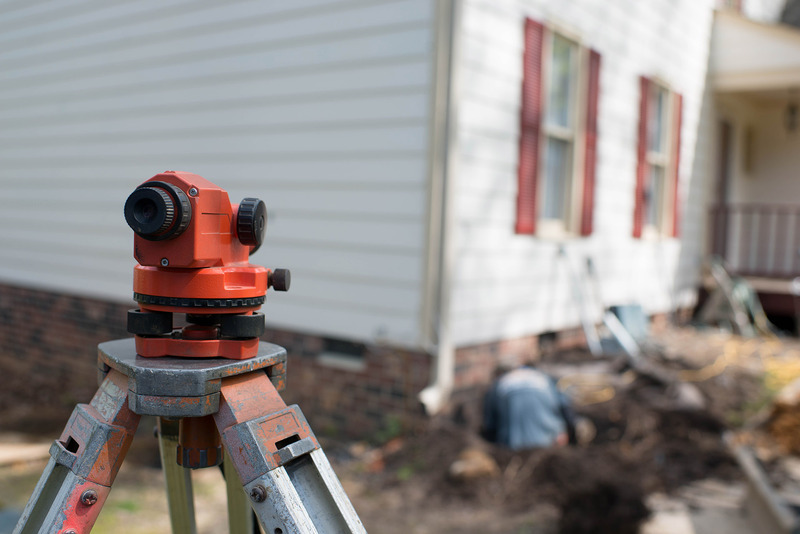 At Stable Foundations, we realize that structural repairs to your home can seem overwhelming and daunting. Our team is here to provide education about the situation and provide complete honesty and transparency about the best possible solution for your home. We proudly offer our customers the StrongHold™ Carbon Fiber Repair System for basement wall repair. Known for its superior reputation on the market for strength and durability, we have installed many StrongHold™ systems in homes across Virginia to repair bowing or buckling basement walls. The StrongHold™ Carbon Fiber Reinforced Polymers (CFRP’s) provide the required tensile force needed to develop the compressive strength and create a “balanced” situation within the wall to prevent further bowing and cracking. Have complete peace of mind with the StrongHold™ system as it permanently straightens your walls and restores your home’s structural stability. Like any structural issue with your home, bowing or buckling walls will only get worse if left untreated. If you start to even subtle signs of bowing walls, it’s best to contact us immediately for your free inspection. We have proudly provided Virginia residents with basement wall repair solutions for over 25 years. As a family-owned company, we have provided every customer with complete honesty and integrity for three generations. Our services also come with a transferable Limited Lifetime Warranty, so you’ll always be protected. Rely on Stable Foundations for all your basement wall repair needs. Contact us today to schedule your free inspection!